Want to connect with Dharmpreet? A committed and ambitious educator myself, I believe in imparting in-depth conceptual understanding to my students. 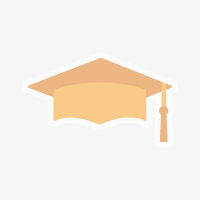 I've two Masters Degrees (M......) in Pure and Applied Mathematics as well as over 10 years of teaching experience in various institutes, with students who have different academic backgrounds and learning habits. I have worked with Western University as a Teaching and Research Assistant. My business "London Math Solutions" is registered with Service Ontario. 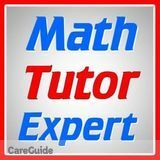 I tutor grade 4 - 12 (Math Physics) and all UWO Undergrad Math & Statistics Courses. • Calculus 1225, Calculus 1000, Calculus 1500, Calculus 1501..
• Calculus 0110, Calculus 1301, Calculus 2302..
► I also train for GRE, CSC, PATI, LSAT, GMAT & SAT entrance exams. • Rates ► I charge $40/hour for one on one session. I offer my services in-person (one on one tutoring) and through the internet as well. I use the latest technology for Online Tutoring and It's equally efficient and effective as in-person. WHY do the majority of students struggle to understand Math and find it boring? I figured out a couple of reasons. In most cases, they've been taught very poorly. Hence, their fundamental concepts remain unclear or shallow. Without understanding of the basic concepts, one cannot enjoy and succeed in Math courses. So, these students fail or get poor marks. They lose their confidence and gradually start detesting it. In my opinion, its instructor’s responsibility to understand his student’s learning approach. I present my lesson/lecture in such a way, which not only engages my students but also inspire them to explore it on their own. Tutor: Math, Science, French, Music!